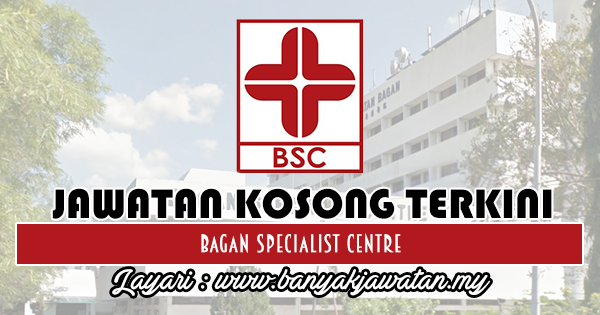 Bagan Specialist Centre is a 150 bedded multi-disciplinary hospital situated in Taman Bagan. Butterworth. Our mission is to provide affordable quality healthcare by wholehearted and offer caring & comprehensive services at reasonable cost to the people in mainland Penang & the Northern region. This hospital has been around since year 1988. Our hospital is built in 1988 and be the 1st hospital in mainland. We have multiple races of employees in our hospital. We have also more than 20 specialists in multiple fields in medical line. Our vision is to be the hospital of choice for affordable quality healthcare for the people in mainland Penang and the Northern region. We are expanding our facilities & services and thus we welcome enthusiastic and dynamic individuals to join BSC family. We treat each of the employees as unique and important asset to our family and we inspire and support our family members to achieve their best in life. We are heading towards to be the employer of choice. 0 Response to "Jawatan Kosong di Bagan Specialist Centre - 4 November 2018"